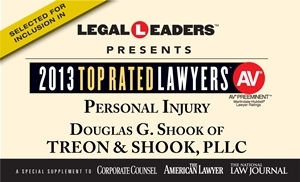 Douglas Shook has been practicing civil trial law since November of 1979. He joined the law firm of Treon and Shook in June of 2004 to focus his practice in the area of plaintiff's nursing home litigation involving claims against skilled nursing facilities, and assisted living facilities arising out of wrongful death, avoidable pressure sores, serious falls, medication errors, and other breaches of the standard of care owed to elderly, incapacitated and vulnerable adults. He also focuses on other types of serious personal injury/wrongful death and insurance claims cases as listed above. Before joining Treon and Shook, he spent 24 years defending numerous insurance companies and their insureds in Arizona. He was a partner with the law firm of Broening Oberg Woods Wilson and Cass and a partner in the firm of Doyle Appel and Shook. During the last 8 years as an insurance defense attorney (1996-2004), he specialized in defending nursing homes throughout the state of Arizona. He also defended numerous claims against lawyers of legal malpractice. 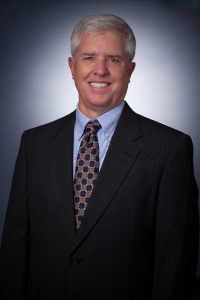 He is a member of the Arizona Trial Lawyer's Association, the Arizona State Bar, and the Maricopa County Bar. He has appeared in most of the different Superior Courts throughout Arizona, and the both of U.S. District Courts in Phoenix and Tucson. He has appeared before both of the Arizona Courts of Appeals; and the 9th Circuit Court of Appeals in San Francisco. He earned his B.S. and J.D. degrees from the University of Arizona. He was born in Evanston, Illinois but has lived in Arizona since 1971.